Looking for an easy, healthy dinner recipe? 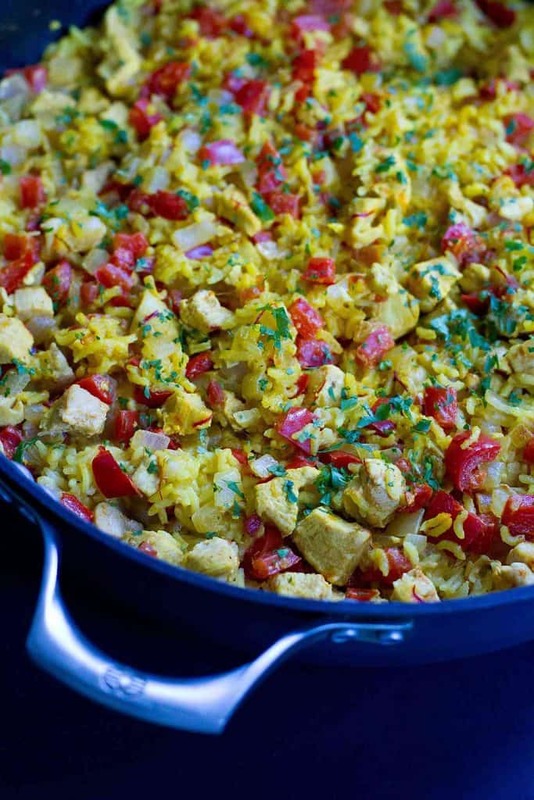 This Arroz con Pollo (chicken and rice) dish from Lexi’s Clean Kitchen’s new cookbook fits the bill perfectly. One can never have enough cookbooks on their bookshelves, especially ones filled with approachable healthy recipes and big, beautiful photos. Considering my love for one-pot recipes, it’s no surprise that I gravitated straight towards the one-pot chicken and rice recipe (arroz con pollo) in Alexis Kornblum Davidson’s new cookbook, Lexi’s Clean Kitchen: 150 Delicious Paleo-Friendly Recipes to Nourish Your Life. With tons of spices, veggies, and lean protein, this is the type of recipe that makes weeknight dinnertime prep so much easier. There are about 10 minutes of chopping, 10 minutes of active cooking time, and the rest of the time is hands-off simmering. 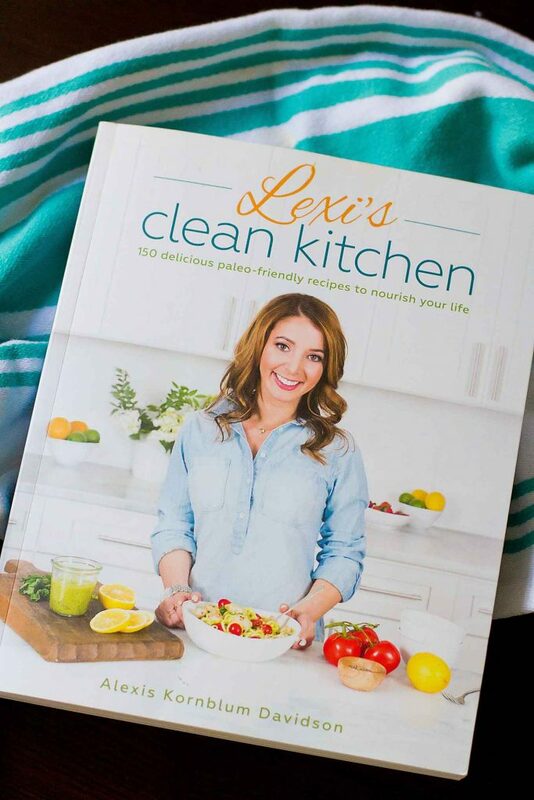 If you’re not already familiar with Lexi’s blog, Lexi’s Clean Kitchen, you’ll want to pop over there for a huge variety of healthy recipes, represented beautifully in her cookbook. 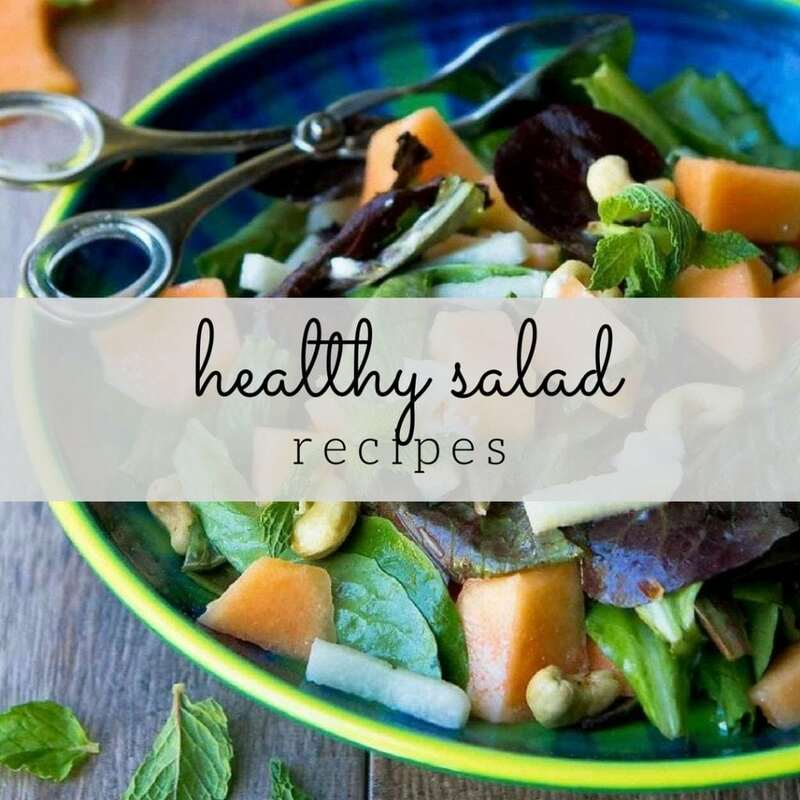 The cookbook includes an extensive of pantry staples for healthy cooking, as well as chapters dedicated to soups and salads, main courses, desserts and treats, and so on. Before landing on this one-pot chicken and rice recipe, I also considered making the Strawberry Date Salad with Poppy Seed Dressing and the Kung Pao Cauliflower (um, yum! 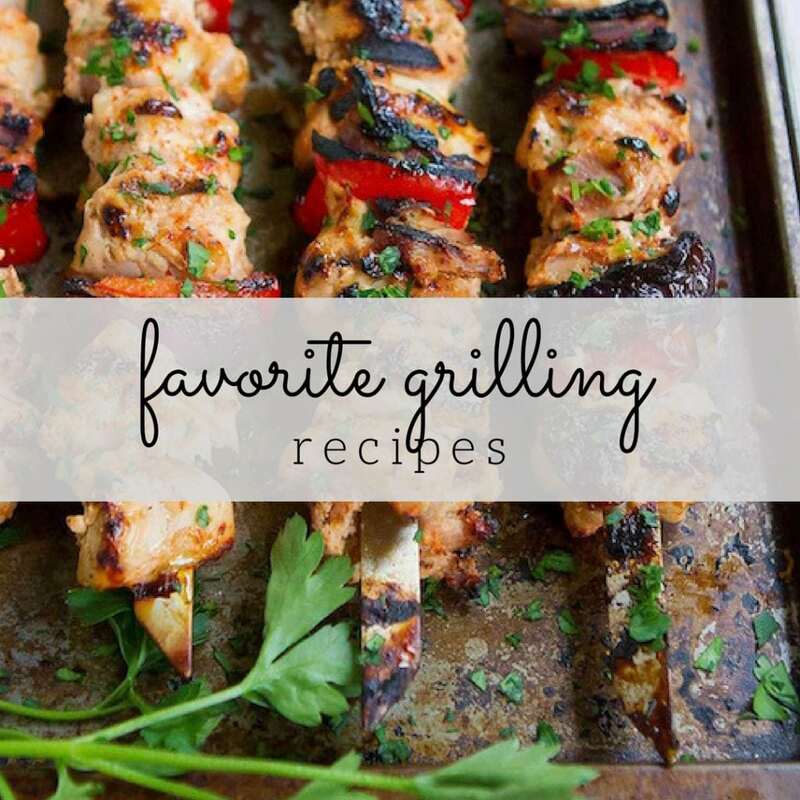 ), and I’ll definitely be adding those to my weekly menu in the coming weeks. 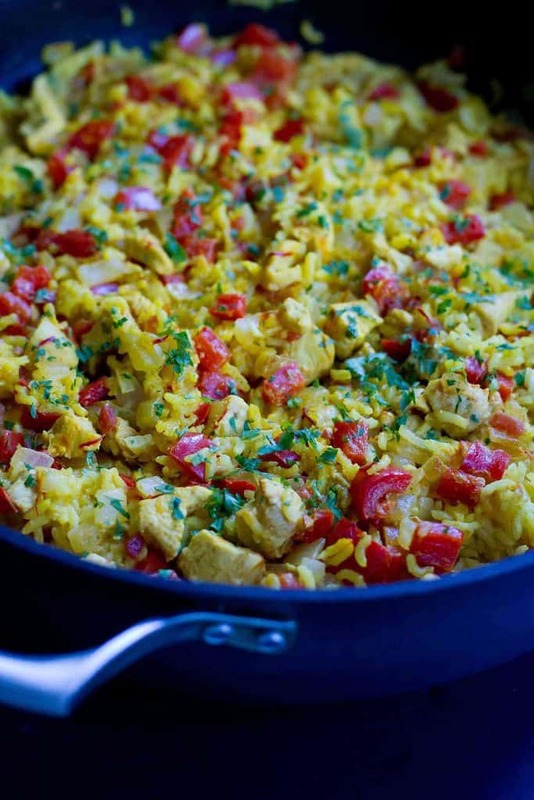 Arroz con pollo is a popular dish in both Latin America and Spain, but this particular version leans more towards the Spanish version, with the use of saffron for flavor and color. Extra color also comes from a dash of turmeric, which is touted for its health benefits, mainly the anti-inflammatory and antioxidant properties. Even though the dish already boasts a ton of veggies – onions, peppers, garlic and peas – I serve it with a side salad or steamed broccoli to help me achieve my goal of filling half of my plate with veggies (see my #VegItUp recipes for more ideas). You can easily throw together some extra veggies with the chicken and rice dish is simmering on the stovetop. Heat the olive oil in a large braising pan or Dutch oven set over medium heat. Saute the garlic for 1 to 2 minutes, until fragrant. Add the onion, peppers, and peas and saute for 5 minutes, until the onion and peppers begin to soften. Add the chicken and sear on all sides for 2 minutes (it does not need to fully cook at this point). Add the rice and stir until the chicken, vegetables and rice are thoroughly mixed, about 1 minute. Add the chicken broth, tomatoes, saffron, cumin, turmeric, salt, ground pepper, and red pepper flakes, if using. Mix to combine. Bring to a boil over medium heat, then reduce heat, cover and simmer for 30 minutes, until the rice is fluffy and no broth remains. Serve hot with additional black pepper and red pepper flakes. Thank you so much for sharing!! Stunning photos! So healthy! This is perfect! 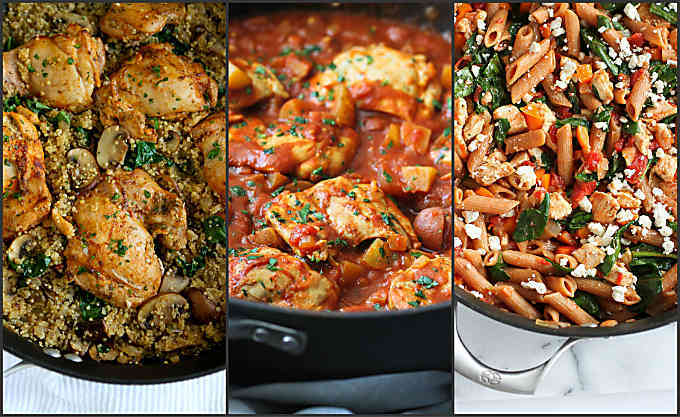 One pot dinners are absolutely fabulous! So yup, made this tonight for supper and it was simply gorgeous. Perfect spice blend. I’m guessing it even tastes great without thesaffron which I’ll try next time. One-pot meals are always welcome in my home. This sounds wonderful! I love that this is all the flavors in one dish! It looks amazing! 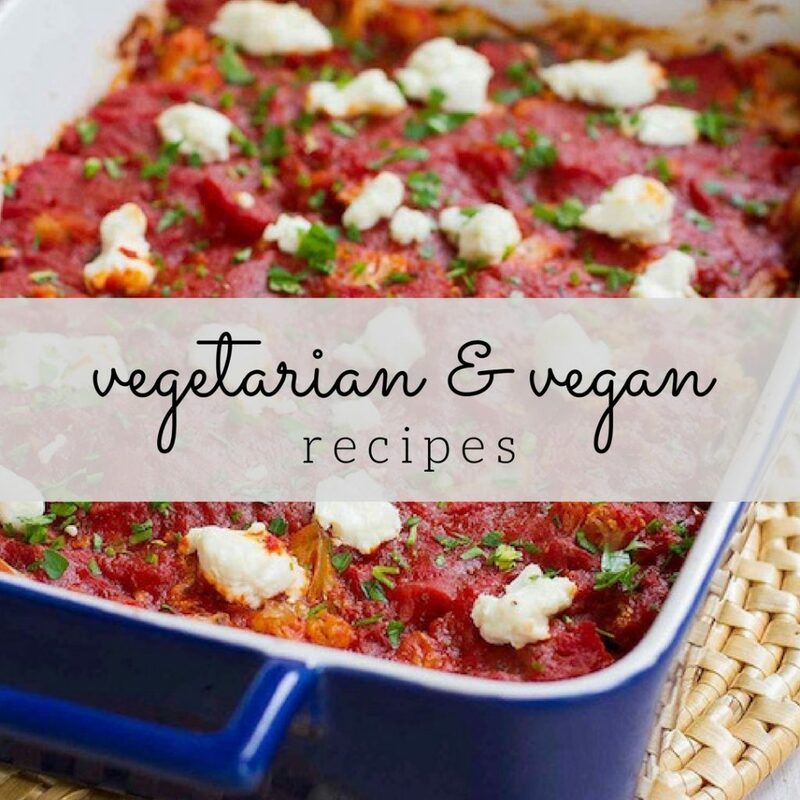 Love that this is a one pot meal – totally need to add this book to my library!